Last week the South Bay Bicycle Coalition announced, with great excitement, that we had received the support of three Manhattan Beach Commissions, Parks and Recreation, Planning and Parking and Public Improvement, who came together and UNANIMOUSLY voted to recommend the Bicycle Master Plan to the city council. Feeling encouraged, we went into our next commission meeting hopeful that we would be met in Torrance with similar excitement. Today, we are happy to report that the Torrance Transportation Commission also unanimously voted to move the plan forward City Council’s Transportation Subcommittee. The plan will be presented to the subcommittee on Tuesday, September 13th, and ultimately to the entire city council, whose vote is the last step in the city’s process of adopting the plan. 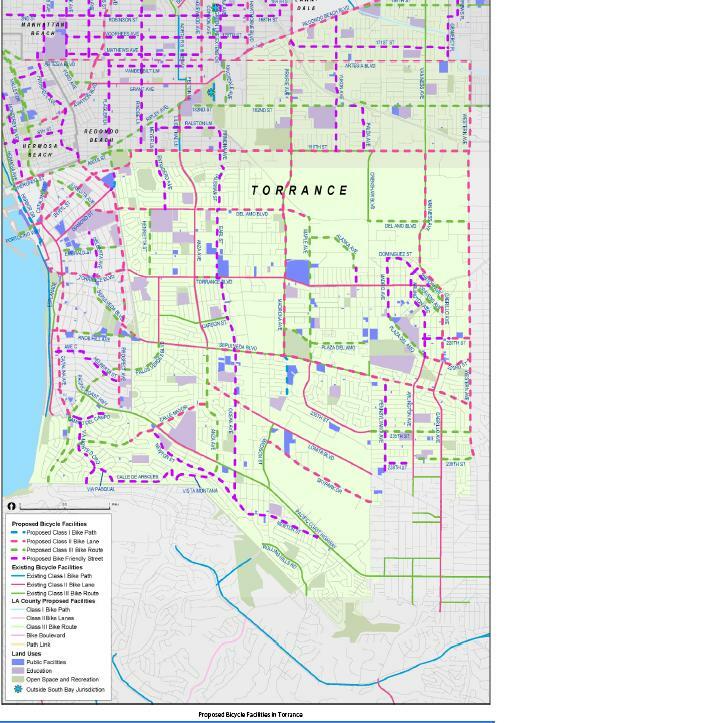 Torrance is the largest South Bay city affected by the plan and the support of their Transportation Commission is very significant as 76.9 of the 213 proposed miles of bikeway will be implemented in the city of Torrance. Letter of support can be e-mailed directly to the commissioners or council members in your city. Sample support letters and Council contact information can be found here. Torrance Transportation Subcommittee: Councilman Tom Brewer, TBrewer@torranceca.gov, Councilman Cliff Newmark, CNumark@torranceca.gov, or Councilwoman Susan Rhilinger, SRhilinger@torranceca.gov. Hermosa Beach Public Works Commission: Frank Senteno, fsenteno@hermosabeach.org. Redondo Beach Planning and Harbor Commissions: Aaron Jones, aaron.jones@redondo.org or Pete Carmichael, pete.carmichael@redondo.org.